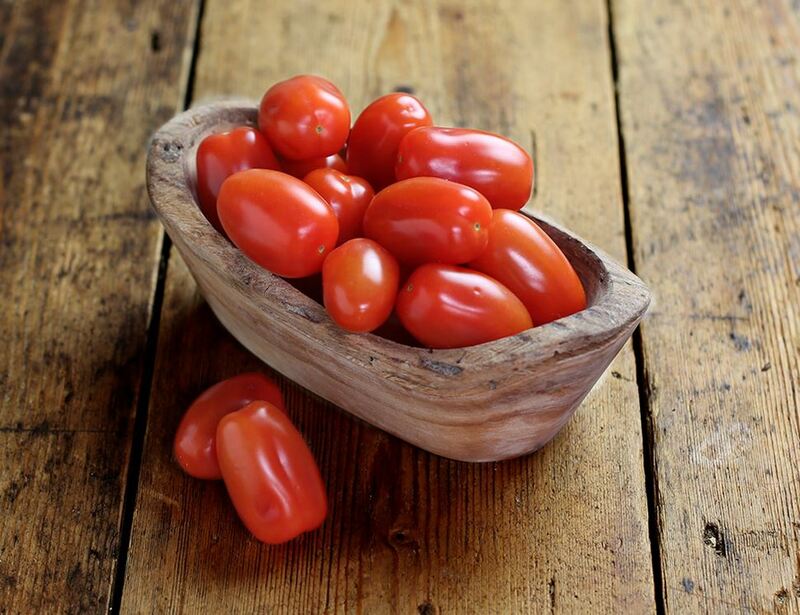 Tomatoes absolutely love sunbathing, so leave them on the windowsill if they need ripening. Or, pop them in the fridge if they’re already ripe and take them out a few hours before you eat or cook with them. They taste much better at room temperature. Give your tomatoes a quick rinse before slicing for your salad. A good tip for removing the skin (some recipes ask for this) is to place the tomatoes in very hot water and wait till the skin begins to peel away naturally, remove and, when cool enough, peel completely. The older the tomato, the softer it is.